MultiBrief: How is the shutdown affecting travel? How is the shutdown affecting travel? Economists are predicting dire consequences for the country if the government shutdown continues. Congress and President Donald Trump are unable to find a solution, as evident from the way negotiations blew up at the White House on Jan. 9. Among the many areas of the economy, travel and tourism may be the industry most affected by the shutdown. Federal employees are already working without pay, and soon, 800,000 paycheck-less employees will be plunged into dire financial straits. Low-staffed and overstressed airports will raise serious questions about aviation safety and security. Shuttered parks and museums will cause tourism to tank. Many national parks that stay open will do so without facilities and are severely understaffed. Most have had to curtail operations with no National Park Service-provided visitor services. As news reports show, it didn't take long for the parks to be trashed and left in an array. The campgrounds are overrun with human waste and garbage. Without rangers and other staff who keep the parks clean and running, there will be severe consequences for facilities, restroom management, trash collection, and road maintenance. Former National Park Service Director Jonathan Jarvis said that keeping the parks open will become harder if the shutdown persists. Close to 331 million people visited the national parks in 2017. If the parks stay open without staff to oversee the crowd, the damage done to them may be too severe to overcome. 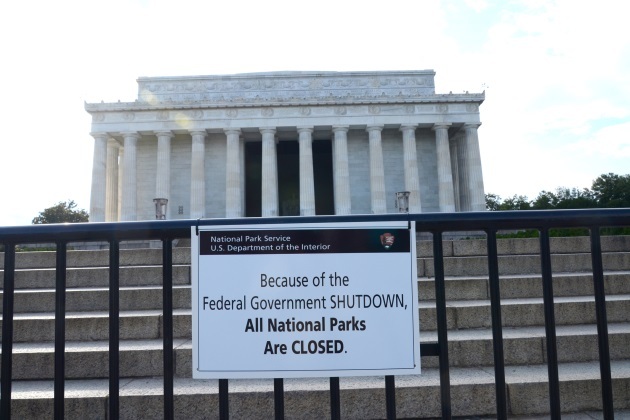 In Washington D.C., visitors are greeted with closed signs at hotspots such as the 19 Smithsonian museums, National Zoo, the National Gallery of Art, and the National Archives. The memorials on the National Mall will remain open but will be understaffed. There will be no tours running without the presence of rangers. Some private museums and attractions will remain open and offer free admissions now so that tourists won't go home wholly disappointed. While air space is operational, the aviation safety workers’ union is forecasting possible travel delays. Air traffic controllers and the technicians continue to work without pay. Lack of services and staffing shortage in critical areas like accident investigation and airport screening are raising concerns about public safety.